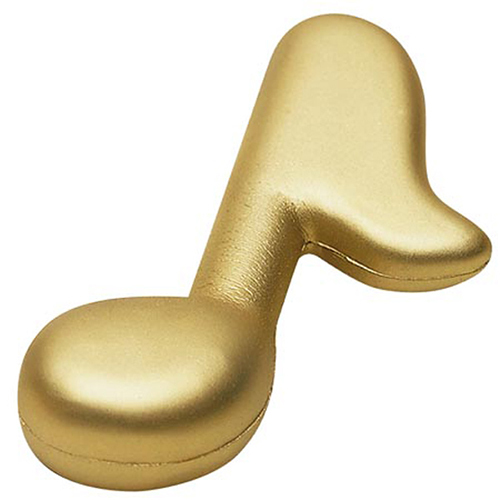 Our bright gold Musical Note stress ball is in tune with increasing your sales! These musical note stress relievers are great promotions to give-a-way at concerts, school events and industry shows. You can custom imprint these musical note stress balls with a business message or catchy phrase. Item Size : 3" x 4-3/4" x 3/4"